For those of us who consider ourselves baby boomers, we might not think “the rules” apply to us like they did in our younger days. In some cases, I suppose they don’t. In the case of nutrition and healthy eating, however, they most certainly do and even more so than years passed. Solid nutrition is vital at every age, and becomes more and more vital with age. It is a true foundation for living well and aging well. If fiber were a prescription medicine, it would be found in most peoples’ medicine cabinets. Weight management. Cardiovascular health. Cancer prevention. 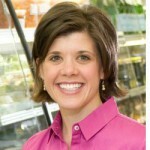 Digestive health. Diabetes management. These are all conditions that fiber (medicine) would help to prevent and treat, especially with age. Luckily, it’s highly accessible and available in a tasty form known as food. If only we could get at least 25 – 30 grams of fiber each day, the amount required to realize these benefits. Think about it. If you were prescribed a daily medicine to improve your health, you would take it, right? What if you thought about fiber in the same way – a daily medicine to improve your health? Foods that contain at least 5 grams of fiber per serving are considered “high-fiber” and those with slightly less at 2.5 – 5 grams are “good sources”. Plant foods are the best medicine, with most considered high-fiber. The less processed the better. Fruits and vegetables (with skin) are high in fiber, and unrefined grains (oats, barley, and whole wheat) are also good sources along with beans, nuts, and legumes. 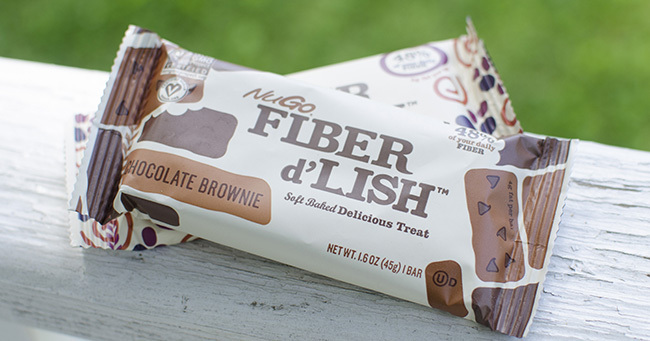 If on the go, grab a Fiber d’Lish bar that is made with natural whole grain oats and contains 12gms of a perfect bend of insoluble and soluble fiber to reach your fiber consumption per day goal. 1) Include at least one plant food (fruit, vegetable, beans, nuts, unrefined grains) in all meals and snacks. This will give you at least three grams of fiber at each meal/snack. 2) Start the day with a “dose” of high fiber (i.e. a bowl of cereal that has at least five grams of fiber per serving) and a bowl of fresh or frozen berries – already 8 – 10 grams of fiber and it’s still morning. 3) Snack-time – choose a granola bar and an apple for 6 grams of fiber, or a NuGo Fiber D’Lish bar and a piece of fruit or handful of nuts for upwards of 15 grams of fiber. 4) End the day with a healthy balanced meal, and fruit for dessert, and earn yourself 10 – 15 grams of fiber in one meal! One serving of roasted broccoli, a baked potato with the skin, and one cup of strawberries gets it done.